Burn more calories with one simple change – Oxycise! Flowers are blooming, bees are buzzing, sun is shining…well, at least in some places. Oxycise! is a great workout for the winter months, but if you’ve used the cold weather as an excuse to become a couch potato – you’re not the only one. ​Trainer Kusha Karvandi, CEO of Exerscribe, explains that when you exercise outside vs. indoors, your ability to consume oxygen and balance CO2 levels internally are increased. This improves your muscles ability to burn energy – i.e. 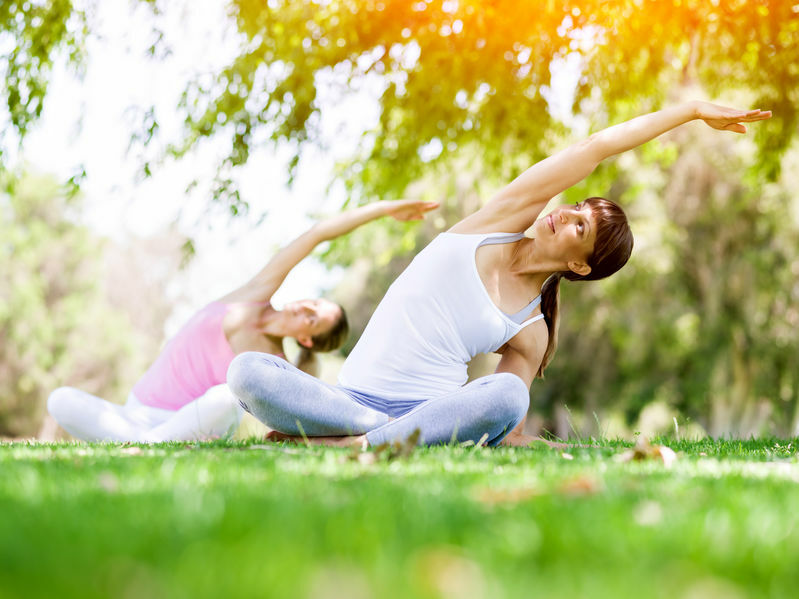 you burn more calories exercising outdoors! And in case that’s not a good enough reason… The Peninsula College of Medicine and Dentistry performed a study comparing the effects of outdoor vs. indoor exercise on physical and mental wellbeing. They found that “exercising in natural environments was associated with greater feelings of revitalization and positive engagement, decreases in tension, confusion, anger, and depression, and increased energy.” With increased enjoyment and satisfaction, participants were also more likely to repeat the exercise. Another surprise benefit of spending time in nature is that exposure to trees and other plants can improve your immune system. Scientists believe the airborne chemicals that plants emit to protect themselves from fungus, bacteria and insects may also benefit humans. A study published by Nippon Medical School showed that two-hour walks in a forest resulted in a 50% increase in the levels of participants natural killer cells. That may not sound like a good thing, but they’re referring to the cells that circulate through your body and kill bacteria, viruses, fungus and other invaders. But what if you just can’t get outside? Indoor plants are more than just aesthetically pleasing, they provide more oxygen and help to reduce indoor pollution or chemicals. The benefits of fresh air are bigger than you think. It is invigorating, refreshing, and the higher oxygen levels increase efficiency of almost all the reactions in your body – including weight loss, improved sleep, lower resting heart rate, reduced anxiety and improved immune system. Grab a friend or enjoy some alone time while reaping the many benefits of fresh air. Use the workout cue card insert provided in your favorite Oxycise! workout DVD to guide you through each position, or take our online workouts with you right on your phone – to the park, the beach, the mountains, or your own backyard.